A dental laminates and veneers referred to as a thin porcelain shell, which primarily tends to enhance the cosmetic appearance of teeth. They are usually bonded to the facial surface of the teeth. The thickness of veneer lies between 0.5 to 0.6 mm. Worn enamel: Over time, the enamel which forms the outer covering of the teeth may get worn and discolored. A genetic predisposition is the main cause for such discoloration. Other factors such as intake of tea or soft drinks, certain antibiotics and smoking, also add to wearing. Wear and tear: With growing age, the natural wearing of teeth is common. Chips, cracks or uneven appearance is likely noticed in aged teeth. Genetics: In some individuals, abnormal space between teeth is noticed from birth. This space usually widens over time. Uneven teeth: General wear and tear or tooth grinding often results in the formation of uneven teeth. A complete veneer procedure involves two visits. At first, the dentist removes some of the shiny outer enamel tooth surface. 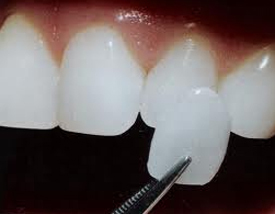 This is done to ensure that veneers are permanently bonded in place. The amount of enamel required to be removed depends upon the thickness of the fitted veneer. 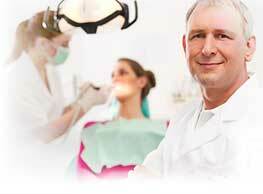 To avoid any chance of discomfort during the procedure, a local anesthesia is injected into the individual. An ‘impression’ (mould) of the prepared tooth is to make the desired veneer. A shade guide is used to match the surrounding teeth color with the prepared veneer. Therefore, the natural tooth look is restored. A special adhesive is used to hold the tooth in firmly. Veneer makes teeth healthy and provide a natural appearance. They are very thin, capable of creating strong bond and requires very little preparation. Some of the veneers require no advance preparation. Veneers have a long life of several years.